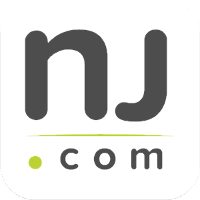 New Jersey law enforcement and prosecutors are extremely sensitive when it comes to theft crimes that involve a concerted effort to commit fraud. It is generally against the law to knowingly defraud another person. When the fraud involves the unauthorized altering of another person’s writing, it is considered Forgery. The most commonly forged documents include checks, credit cards, and driver’s licenses. If you are convicted of forging any of these documents with the intent to gain a monetary benefit, you face severe penalties. Worse yet, with Identity Theft becoming a hot-button topic in recent years, NJ judges often impose maximum punishments in these cases. The lawyers at the Tormey Law Firm are fully prepared to assist you with your Forgery case. We represent clients accused of Forgery and other theft offenses throughout Essex County, including Livingston, Orange, and Belleville. We understand the nuances of fraud laws in New Jersey and know what is needed to win your case. The firm’s founding partner, Travis J. Tormey, previously worked for two of the largest law firms in the state. Additionally, the firm’s litigation team includes a former county and municipal prosecutor. Contact us day or night at 201-654-3464. A member of our criminal defense team will be happy to discuss your Forgery charges and help you determine the next step. Forgery in New Jersey is addressed by N.J.S.A. 2C:21-1. The statute prohibits a person from creating a false document or altering a document without authorization for doing so and with the purpose of defrauding another person. The prosecution must prove that you acted intentionally to defraud another person or with knowledge that your actions would lead to defrauding another person. However, intent and knowledge are usually presumed when the offender offered a forged document as genuine and attempted to cash the forged document. Additionally, it is not necessary for the Forgery to be successful in order for an offender to be charged with a crime. The mere act of offering or uttering a forged document is a violation of the law. 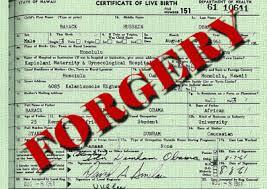 Forgery is a felony-level offense in New Jersey. The exact classification of the offense and the accompanying penalties depend upon the nature of the forgery. Most instances of forgery are classified as either fourth degree felonies or disorderly persons offenses. If you are convicted of fourth degree Forgery, you may be sentenced to up to 18 months in NJ State Prison. The forged document is government-issued or purports to be government-issued. This includes counterfeit money, checks, IDs, and securities. The offender forged a prescription blank. The offender forged 15 or more retail sales receipts. The offender possesses a forgery device. If you are convicted of third degree Forgery, you may be sentenced to 3–5 years in NJ State Prison. Forgery charges are often accompanied by additional criminal charges, including Credit Card Fraud, Check Fraud, and Theft by Deception. If you are convicted of using a forged credit card or passing a bad check, you face significant penalties. Depending upon the amount involved, the Forgery charges could be elevated to a second degree felony; this will expose you to 5–10 years in NJ State Prison. Whether you are accused of using someone else’s credit card or forging someone else’s signature on a written contract, you now face significant consequences. The Tormey Law Firm can help you fight your Forgery charges and avoid the most severe penalties. Call us today at 201-654-3464, or email us to schedule a free consultation at our Newark office.